The collapse of our BC sockeye salmon population this season has created an extreme problem for First Nations food security and for the provincial economy. 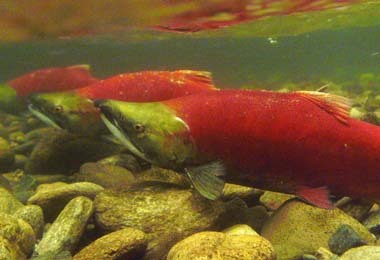 BC’s Fraser River this August expected 10.6-13 million sockeye salmon returning to natal spawning grounds (Hume 2009). Only 1.7 returned (Ibid). The collapse caused sockeye fisheries on the Fraser River to close in July, causing a serious problem for First Nation’s communities who relay on salmon for sustenance (Karp 2009)—and have done so for thousands of years (Bottom et al 2009). Ernie Crey, an advisor for the Stó:lo Tribal Council states that “most Indians who live in the Fraser watershed are low-income or poor… the fishery is their principal source of dietary protein” (Karp 2009). This year our province lost over 8,000 tonnes of sockeye salmon (Akin 2009). Prime Minister Stephen Harper in response has recently ordered an inquiry into the matter to uncover the cause of salmon depletion (Ibid). Although there are probably numerous factors, one principle cause appears to be warming ocean temperatures (Ibid). 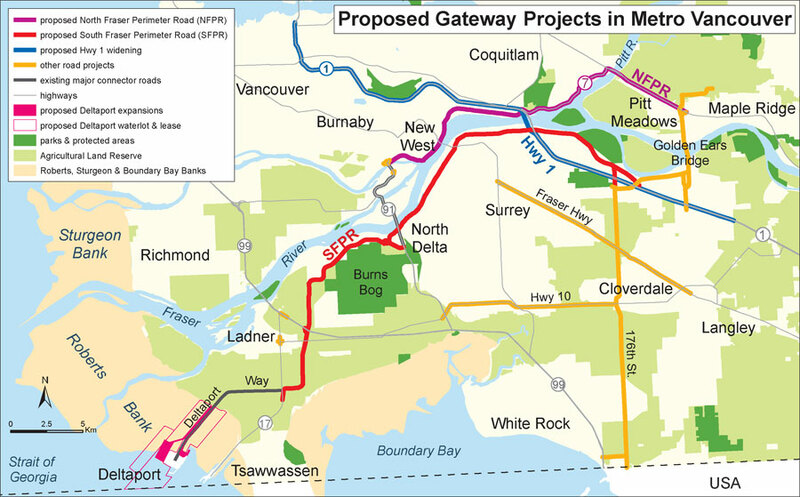 BC’s Fraser River watershed drains almost one-third of the province, extends from the Rocky Mountains to the mouth in Vancouver, and spans a distance of 1,400 km (Rand et al 2006). The Fraser River is the largest salmon-producing river system in Canada (Farrell et al 2008), and the largest producer of sockeye salmon in the province (Rand et al 2006)—economically the most valuable salmon species in BC, and the second most abundant (Cox & Hinch 1997). All wild salmon are born in freshwater rivers, such as the Fraser, where sockeye salmon in particular remain for the first 2 years of their life (Cox & Hinch 1997). The salmon then migrate to the ocean and spend typically the next 2 years of their life migrating northward to the Gulf of Alaska (Ibid). Once mature, the salmon use precise homing skills to return to the Fraser River and their natal streams to spawn (Cox & Hinch 1997; Rand et al 2006). Upon entering the Fraser River salmon cease feeding and relay on energy reserves to make it up the river (Ibid). After spawning the salmon die, usually resulting from complete exhaustion (Ibid). Because sockeye salmon only spawn once in their lifetime, it is crucial that they succeed in their homeward migration in order to propagate. For this migration, sockeye have an optimum temperature of 15ºC (Farrell et al 2008). But, with climate change some sockeye salmon runs are experiencing temperatures in excess of 19ºC—a temperature at which no salmon run has ever historically been successful (Ibid). Further, global circulation models predict an increase in temperature of 2-4ºC in the next 50-100 years (Rand et al 2006), virtually making salmon survival impossible, as salmon have a 5-day lethal temperature of 22ºC (Crossin et al 2008). At present levels however, our salmon populations can barely sustain themselves. With increasing temperatures salmon’s metabolic rates increase (Ferrari et al 2007). Heart-rate increases, oxygen consumption increases (Farrell et al 2008), and they burn more energy than they would at optimum temperatures (Ibid; Crossin et al 2008). Often, this results in energy deficiencies and many salmon have begun to die of exhaustion before even making it to spawning grounds (Crossin et al 2008). Further, those that do make it to spawning grounds are often so energy depleted that they either die, or fail to have enough energy to produce sperm or eggs for reproduction (Farrell et al 2008). An increase in temperature also causes an increase in disease (Rand et al 2006; Ferrari et al 2007; Crossin et al 2008). In warmer waters salmon are more susceptible to numerous diseases involving parasites and fungi than in cooler waters (Ibid). These diseases can cause kidney failure, respiratory failure, fungal infection, and eventually death (Crossin et al 2008). Further, infection increases death by exhaustion, as infection can cause increased energy depletion through increased stress levels and thus increased metabolic rates (Ibid). Although raising temperatures may not be the only factor depleting the sockeye salmon stocks, it is certainly a contributing factor. We can only hope that this misfortune can act as an aid in highlighting the urgency at which our country needs to fight against climate change and lower our greenhouse gas emissions. Currently, our country has continued to decline in performance in air quality, biodiversity, and greenhouse gas emissions (Galloway 2009), posing a serious threat to our environment, our economy, and our food sovereignty. It is time for our country to step up, and do something about our climate problem—for our fish, our economy, and our people. Bottom, Daniel L., Kim K. Jones, Charles A. Simenstad, and Courtland L. Smith. 2009. Reconnecting Social and Ecological Resilience in Salmon Ecosystems. Ecology and Society 14(1). Ferrari, Michael R., James R. Miller, Gary L. Russell. 2007. “Modeling changes in summer temperature of the Fraser river during the next century.” Journal of Hydrology 342: 336-346.